Shah Rukh Khan was honoured with the fourth Yash Chopra National Memorial Award in Mumbai on Saturday. 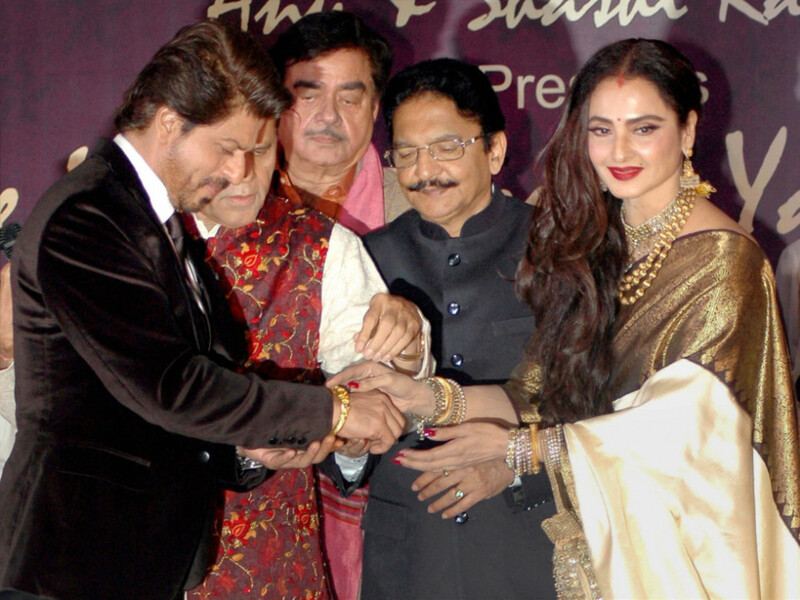 The award has been instituted by the philanthropist T. Subbarami Reddy, in association with Anu Ranjan (President, The Indian Television Academy) and Shashi Ranjan (chairman and managing director of ITA School of Performing Arts), in the memory of the late filmmaker Yash Chopra, whose movies such as Jab Tak Hai Jaan and Dil To Pagal Hai starred Khan. “Working with Yashji was very personal. I don’t think I am able to express it. I have worked with him for 20 years,” he said. “Right from the time I came here [Bollywood] and then we lost him as we walked along the path. Being part of his last shot and his last film... it is very emotional for me,” he added. Khan’s banner, Red Chillies Entertainment, is currently co-producing the remake of Chopra’s murder mystery Ittefaq, which released in 1969. Khan, also a producer, said he wanted to do the film but couldn’t due to “date problem”. “The team ... involved with the film are fantastic,” he said. Ittefaq, which will feature Sonakshi Sinha and Sidharth Malhotra, is being directed by Abhay Chopra. When will the audience see Khan in a Yash Raj project? “I’ve no idea. There is no discussion on a film right now,” said the actor. He also denied reports that he didn’t want to work with actress Kangana Ranaut in a Sanjay Leela Bhansali film. The superstar was expected to share screen space with Ranaut. But he reportedly refused to do that. When asked about controversial film Lipstick Under My Burkha, which has been denied certification by the Central Board of Film Certification (CBFC), Khan said he was not aware of the issue. “You can ask me about the politics in Uttar Pradesh as well after that. I have no idea as I was on holiday. So I don’t know,” he said. The Alankrita Shrivastava-directed film under Prakash Jha’s production was denied certification by CBFC for allegedly being “lady oriented” and containing “abusive words”. Filmmakers like Kabir Khan, Sudhir Mishra, Neeraj Ghaywan, Farhan Akhtar and others have slammed CBFC’s decision. Lipstick Under My Burkha!, starring Konkona Sensharma, Ratna Pathak Shah, Aahana Kumra, Plabita Borthakur, Sushant Singh, Vikrant Massey and Shashank Arora was screened at various film festivals and had received overwhelming response. The film even won the Spirit of Asia Award at the Tokyo International Film Festival and the Oxfam Award for best film on gender equality at the Mumbai Film Festival.